I woke up this morning with boiled peanuts on my mind. While there are dozens of roadside stands in our area, we usually get a scoop from a produce stand down the road from our house (Peachtree Produce) or at one of the local flea markets. Today was a flea market day. 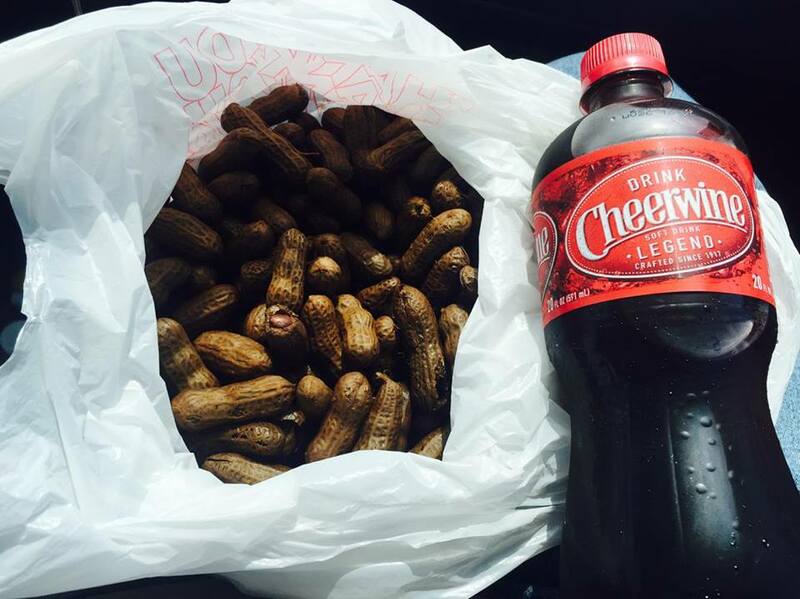 The perfect Saturday lunch: "Caviar of the South" with some "Nectar of North Carolina". I still remember the first time I ever tried them. My Pa Glenn brought some home with him from work and said that he had something for me. I was a little apprehensive after one glance of those slimy lookin' peanut shells but decided to give them a try. I thought, "They taste a lot like pinto beans. I LOVE pintos!" I've been hooked ever since. 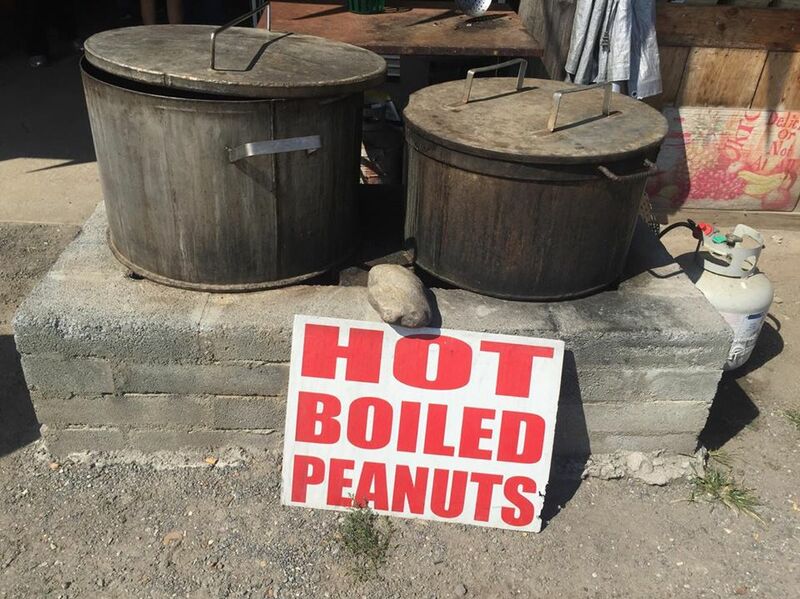 We will occasionally buy a mess of raw peanuts and boil them in our slow cooker all day but they just don't taste the same as those you buy from a roadside stand. If you would like to try making your own at home or would like to read about the history of boiled peanuts, go here: Boiled Peanuts Recipe & History- Whats Cooking America.